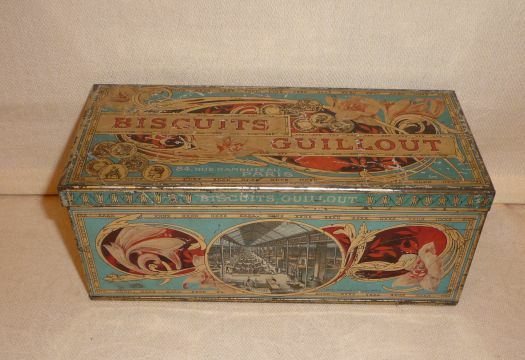 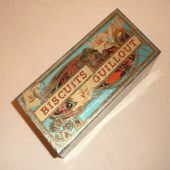 Old advertising lithographied box for "Biscuits Guillout". 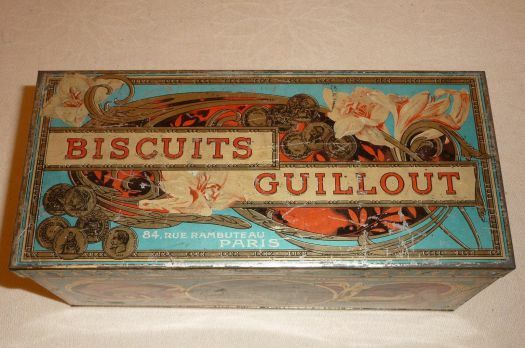 Good condition for a box which is around 100 years old, a little bumped, some scratches too. 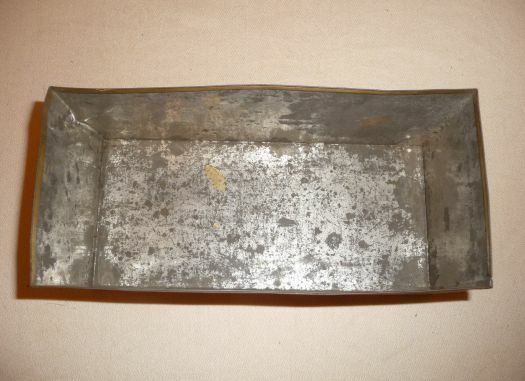 21 cm x 9,8 cm ; height 8,2 cm. 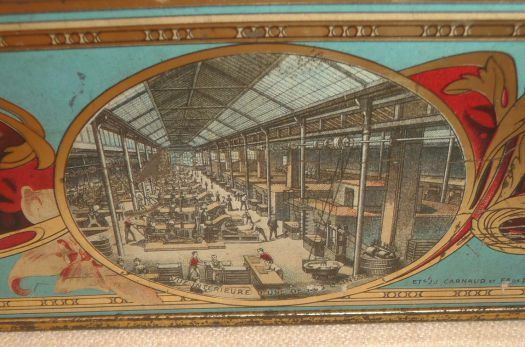 On the sides of the box, there are some different pictures of the manufacture, in Paris, it is really interesting !